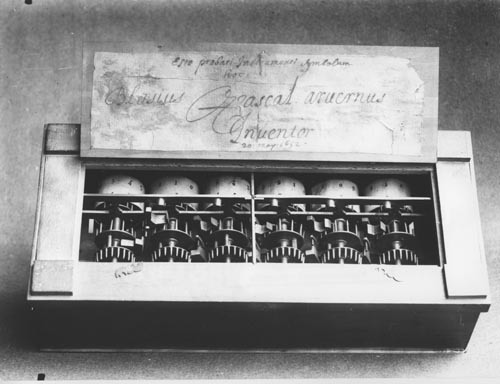 Black and white image of early Pascal calculator. Label above calculator is in French. In pencil: " Boy. 2205 double Interveur de la machine a calculer de Pascal"